General Motors first launched the GMC Sierra back in 1998, following it up with the upscale Denali trim level a few years later. 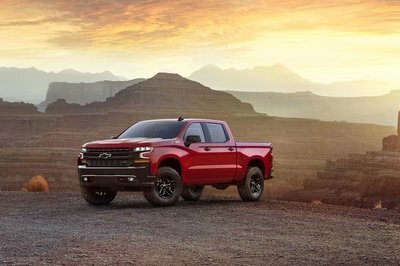 Now, the latest 2019 model year is bringing with it a generational changeover, debuting in a live event in Detroit and broadcast on the Internet. 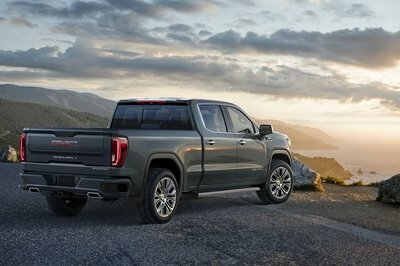 Previewed in the range-topping Denali and SLT trim levels, the latest Sierra gets a variety of cool new features and technologies, including improved utility for the light-duty half-ton with a MultiPro tailgate and carbon fiber bed, plus new styling to help it stand out a bit more from its mechanically identical cousin, the Chevrolet Silverado. 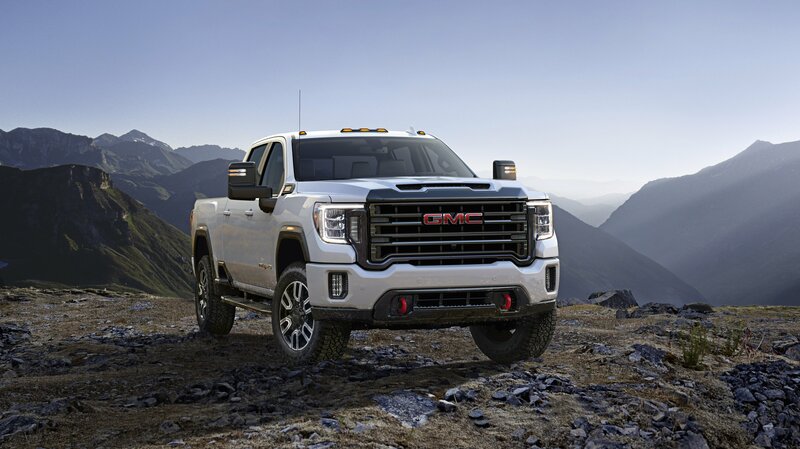 Continue reading to learn more about the 2019 GMC Sierra. 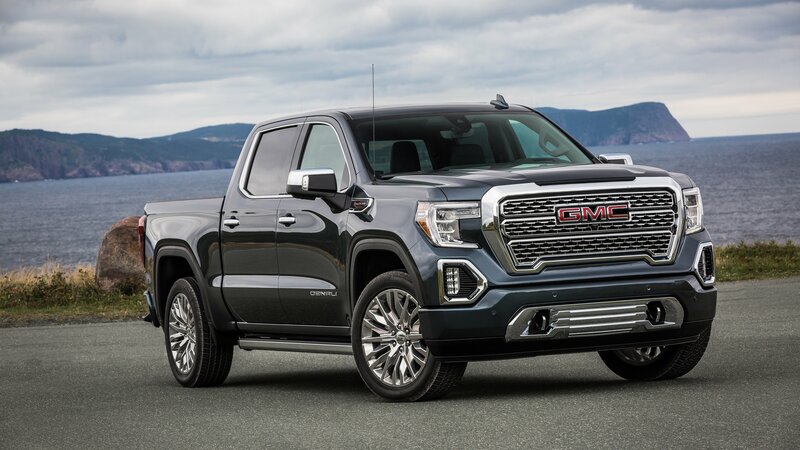 As you might expect from any generational changeover, the 2019 model year for the GMC Sierra brings with it a significant aesthetics update. 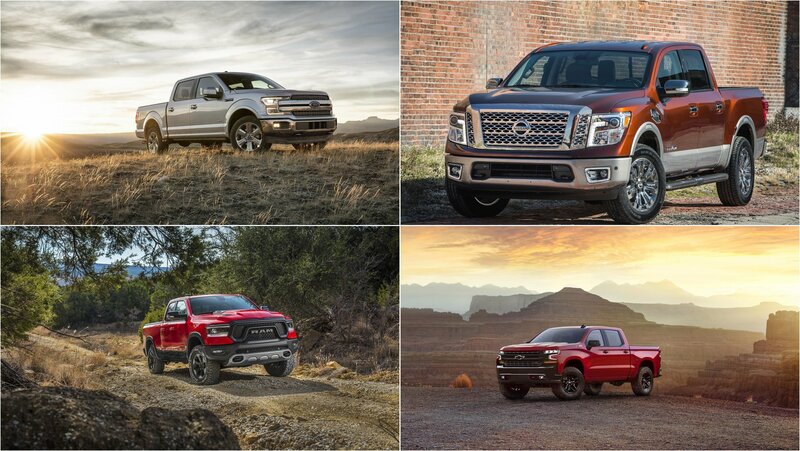 The new exterior design includes a host of changes that make the truck appear bigger and bolder than before, especially in front, where we find a new chrome grille that’s larger than that of the outgoing model, with a huge, polished surround and several vertical tiers for the reflective inserts. The hood is also taller, with a rounded top that gets a few sinewy muscle lines leading back into the windshield. Further down in the fascia is a new design for the headlight housings, which maintain the traditional C-shape of the older models, but now stand taller and use squared projectors. There’s also a new design for the taillights. 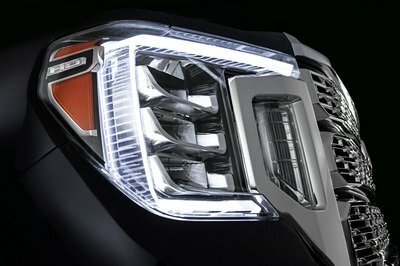 Adding an extra premium touch are the LED lighting elements, which were added to the daytime running lights, taillights, and fog lamps as well. In the corners, buyers will have a chance to equip optional 22-inch wheels. These large and in charge rollers use an aluminum construction and feature an Ultra Bright finish on Denali models, plus a darker finish with chrome accents on SLT models. Finishing touches include a large Denali badge added to the tailgate, now using a bolder block typeface. Why so much work for a tailgate? Well, users can configure it into six different positions, offering loads of unique features as a result, such as second-tier loading, new load-stop solutions, and a standing workstation, not to mention providing easier access to stuff in the bed with a step-up entry and egress. The MultiPro tailgate has a weight capacity of 375 pounds, and uses two buttons for operation and the inner gate release, plus it includes a hand hold spot to make it easier to walk up and down. The MultiPro tailgate is equipped as standard on the SLT and Denali trim levels. Next up on the list of new practicality features is a carbon fiber bed (note, this is a true carbon bed, not just a bed liner). 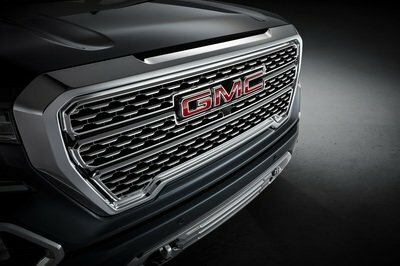 Dubbed the CarbonPro, GMC boasts that the composite box offers the best-in-class dent, scratch, and corrosion resistance, calling it “the most durable pickup box in the segment.” The CarbonPro replaces the standard steel inner panels with the popular lightweight material, shaving off around 62 pounds in the process. The CarbonPro will be offered later in the model year. 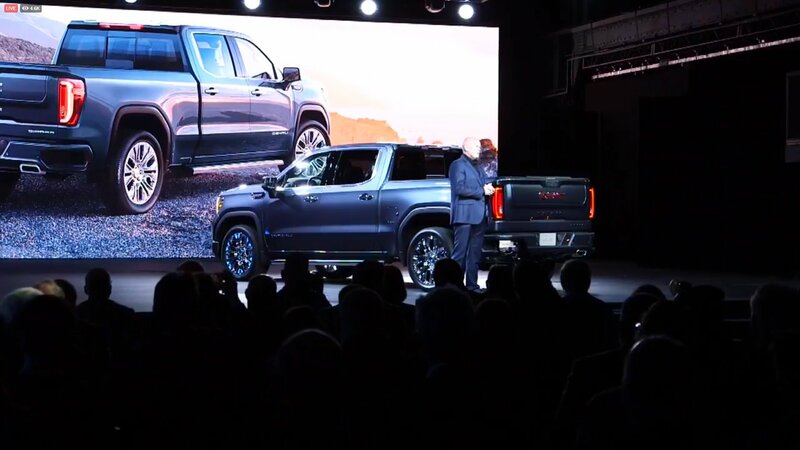 “In 116 years of making GMC pickup trucks, our industry-first carbon fiber box is the toughest and most durable pickup box we have ever made,” says vice president of Global GMC, Duncan Aldred. 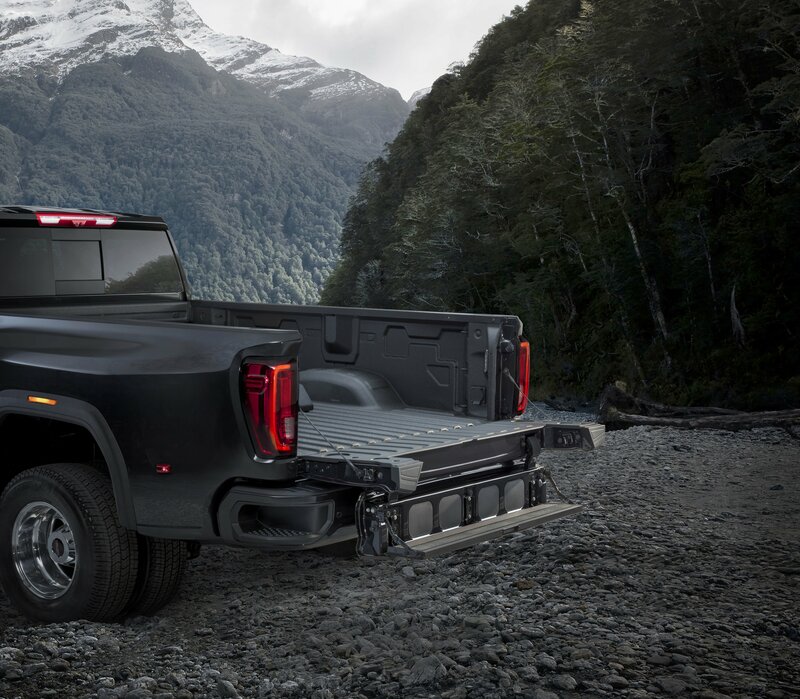 Furthermore, the 2019 GMC Sierra is said to offer the best-in-class cargo volume, with upwards of 63 cubic feet on the short box model. Additionally, there are now more tie-downs on offer, as well as a 110-volt outlet. If you forego the carbon bits, you’ll get a traditional bed made from roll-formed, high-strength steel, now with 50 percent added strength this time around. 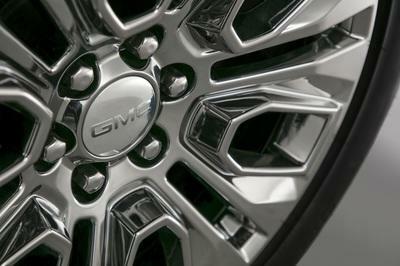 Finally, the next-gen GMC Sierra is larger dimensionally, measuring in with a taller height and a longer wheelbase. It even has larger tires than the outgoing model. 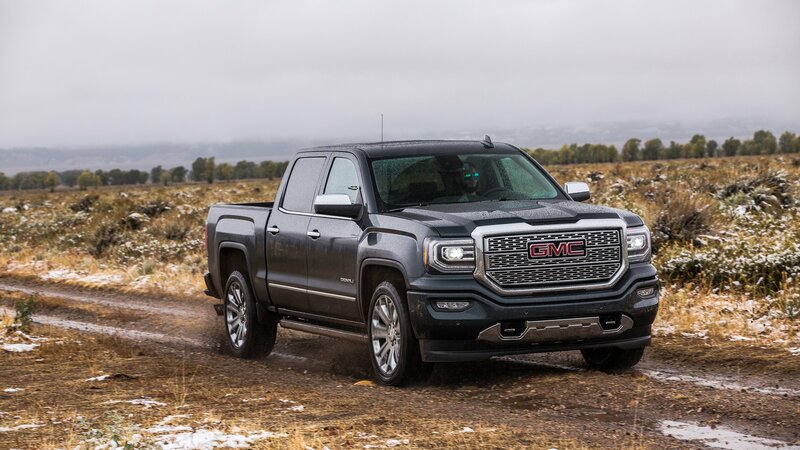 As we dive into the improvements found inside the cabin of the 2019 GMC Sierra, let’s begin at the top and work our way down. 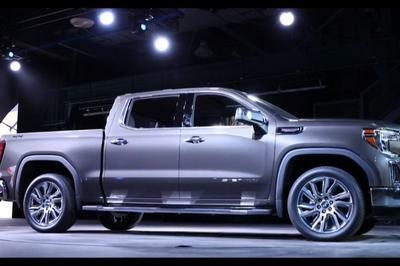 With that in mind, we’ll kick things off with the premium Denali trim level, followed by the next-best SLT trim level. Indeed, if you’re looking for upscale treatment stuffed into a truck package, the Denali is the one to get. In addition to offering the best-in-class headroom and legroom in front, the Denali also gets lots of premium materials throughout, such as leather upholstery for the seats, open-pore wood trim on the center tunnel, and dark-finish aluminum on the center console. The leather uses a large-pebble grain and contrast stitching, which means it’ll look and feel fantastic. New for 2019, the Sierra crew cab offers an extra 3 inches of rear legroom. The outboard seats also fold down and get discrete storage compartments that can house important items like laptops or tablets, and there is a higher seating position this time around as well. In a segment-first, the 2019 Sierra gets a multi-color heads-up display, which can be customized to display the data of your choice. The display is measured at 3.0 inches in height and 7.0 inches in width. The 2019 Sierra is also offering a segment-first Rear Camera Mirror, which projects a feed from the tail-mounted camera into the rear-view mirror in the cabin. 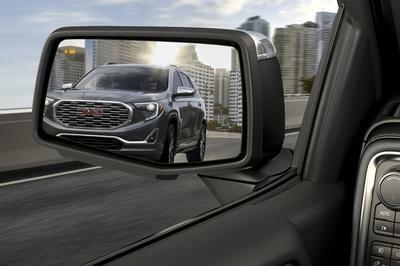 The Camera Mirror helps drivers see around obstructions, such as tall rear-seated passengers or large cargo in the bed, using a high-resolution camera that can be manipulated with a tilt and zoom feature as desired. Buyers can also get a regular reflecting mirror if desired. Further technology features include an available suite of safety stuff, such as a Side Blind Zone Alert, Pedestrian Detection, and Low Speed Forward Automatic Braking. There is smartphone-esque tile app operation for the infotainment system, which is based on the GMC IntelliLink platform. Denali models come with a standard 8.0-inch infotainment screen with navigation. There’s also improved voice recognition, and an available surround-view vision feature with a bird’s eye perspective, which is great for when you’ve got a trailer and need to maneuver in and out of tight spots. 6.2-liter and 5.3-liter V-8s, there’s also an all-new 3.0-liter inline six-cylinder turbodiesel option. Let’s start with the ‘eights, which arrive with the latest start/stop technology to help save a few bucks at the pump, as well as Dynamic Fuel Management that will deactivate up to seven of the cylinders when cruising to up mpg even further. Exact power levels for the engines have yet to be revealed, but we’re expecting modest improvements over the current 5.3-liter’s 355 horsepower and the current 6.2-liter’s 420 horsepower. Now to the diesel six-cylinder, which hails from GMC’s Duramax lineup, which also includes powerplants found in the Sierra HD and Canyon. As for transmission options, a 10-speed automatic gearbox is offered on the 6.2-liter and 3.0-liter diesel engines. The 5.3-liter is expected to get the same eight-speed automatic as the outgoing model. While fancy grilles and the latest technology are all well and good, at the end of the day, the GMC Sierra is still a workhorse kind of machine. To that end, the 2019 model year comes with a new ProGrade Trailering System as standard on Denali and SLT trim levels. The system includes a Trailering App, which offers up useful things like a pre-departure checklist, maintenance reminders, a trailer light test, trailer electrical diagnostics, and a trailer tire pressure and temperature monitor. Several of these features can also be had on the MyGMC app, which offers iOS and Android support. 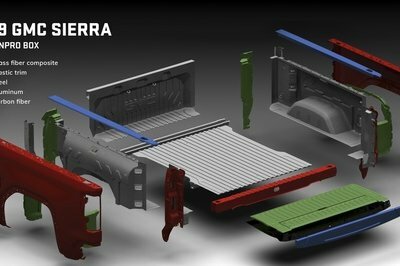 The rest of the trailering technology suite includes features like Hitch Guidance, Hitch View, and an Auto Electric Park Brake. Further electronic assistance can be had with the available side-view cameras and trailer-mounted high-definition camera, and there’s also Trailer Theft Detection, which will send you a text if your trailer is detached without your permission. 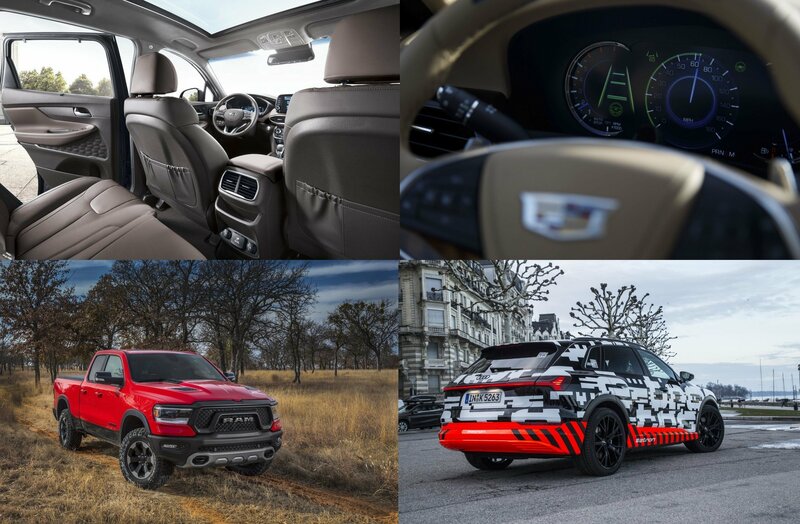 The Denali can also be had with Adaptive Ride Control, which uses a variety of sensors to monitor parameters like road conditions and chassis response, and can be used to adjust the damper settings in as little as two milliseconds. The 2019 GMC Sierra is also lighter this time around, with aluminum used for the doors, hood, and tailgate. All told, the latest Sierra is 360 pounds lighter than the outgoing model. 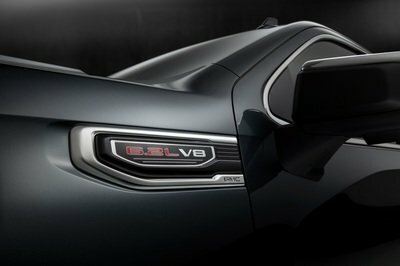 Sales for the 2019 GMC Sierra commence this fall. Exact pricing details are expected for release closer to the on-sale date. For reference, the current SLT trim level starts at $47,000, while the Denali trim level starts at $55,000. 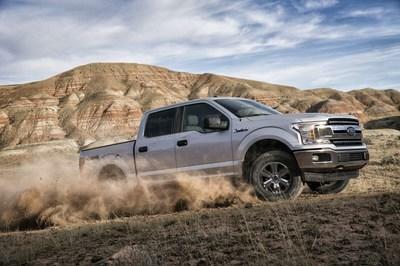 When it comes to competition, it doesn’t get much more robust than the best-selling vehicle in the world. 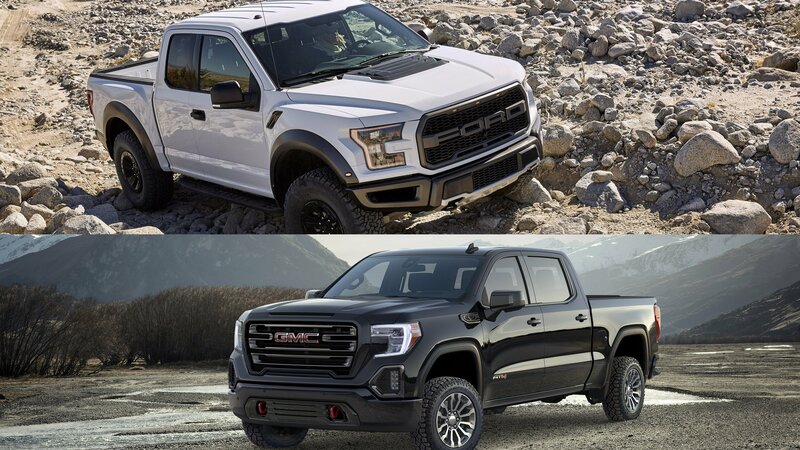 But that’s precisely what the 2019 GMC Sierra is up against when it comes to the Ford F-150. The iconic Blue Oval just got a refresh last year, gaining a tweaked exterior style, new safety tech bits, and a few new upgrades under the hood as well. 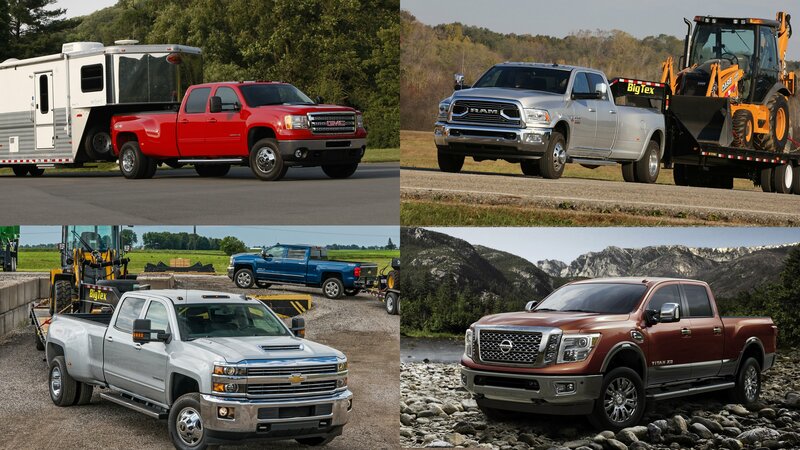 Base models come equipped with a 3.3-liter V-6, while the turbo 2.7-liter V-6 and 5.0-liter get more power. 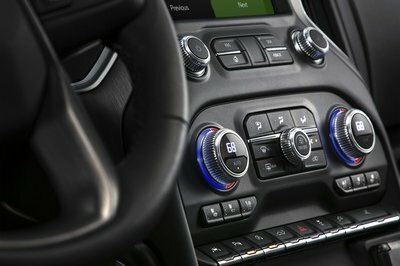 A 10-speed automatic arrives as standard on all models except the base one. Read our full review of the 2018 Ford-F-150. Ram is also in on the action in this space, with an all-new Ram 1500 revealed recently for the 2019 model year. Offering features like a Uconnect infotainment platform and 5.0-inch screen, plus Bluetooth support, a ParkView back up camera, and electric park brake, there’s plenty of tech on board, while the best-in-class V-8 towing up to 12,750 pounds and a max payload of 2,300 pounds keeps it doing the work you need. There’s also available active suspension and loads of premium cabin touches to keep it comfortable. 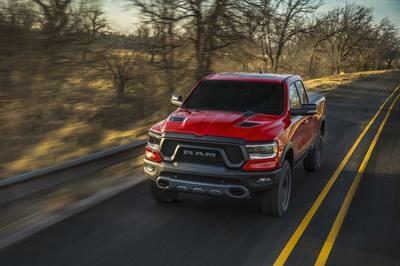 Read our full review of the 2019 Dodge Ram 1500. While having a truck that can handle all the big jobs is important, having one that’s comfortable at the the same time is most definitely appreciated. 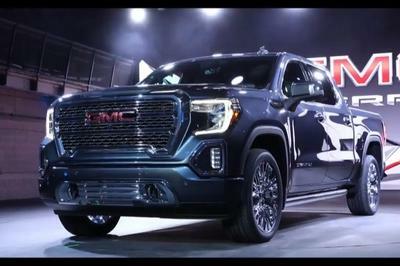 GMC knows this, and the next-gen Sierra brings the goods in a number of areas to entice buyers. In the realm of “don’t work harder, work smarter,” we’re really liking the new MultiPro tailgate. On paper, it’s a pretty clever idea, and we’re eager to try it out in person. We’re also really liking the available carbon fiber bed. Saving weight while adding toughness makes a lot of sense, plus it just looks really cool. Toss in the new turbodiesel powerplant, and things are looking good for the Sierra. Of course, we’ll have to see where the competition goes next, but so far, the 2019 GMC Sierra makes for a rather enticing package. Read our full review on the 2017 GMC Sierra. We just got the rundown on the new GMC Sierra, courtesy of a live-streamed debut event showing off the core SLT trim level and premium Denali trim level. Upgrades include new gear for towing, hauling, safety, and convenience, plus there’s a new diesel engine option as well. Read on for all the details. The all-new next-gen Sierra is here, and so far, it looks like GMC did things right. Let’s start with styling and aesthetics, where the front end goes big on the chrome details. The traditional C-shaped are in place with LED lighting elements, and the taillights get LEDs as well. The front overhang is now shorter, while the Denali gets a new three-dimensional grille design. The Denali also gets 22-inch aluminum wheels with a shiny Ultra Bright finish, while the SLT gets 22-inch aluminum wheels in a dark finish. Dimensionally speaking, the 2019 Sierra is larger is every way. It’s longer overall, it’s got a longer wheelbase, it’s wider, and it’s taller. It even has bigger tires. 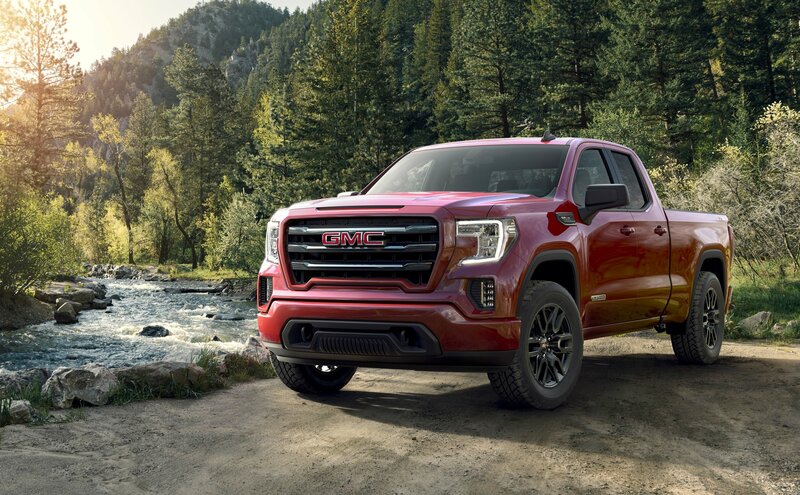 No doubt the larger exterior dimensions help the 2019 Sierra achieve its larger cabin space as well, which GMC says offers the best-in-class head and legroom in front. The seating position is higher, while the crew cab model gets an extra 3 inches of rear legroom. A rear seat-back storage compartment also provides an out-of-view space for important items, such as a laptop. Buyers looking for more plush surroundings can get into “the most premium Denali ever,” which now offers hand-stitched leather, real aluminum trim, and, in a model first, open-pore wood. The list of tech is long, and includes a heads-up display with 3-inch by 7-inch dimensions. The Denali also gets a standard 8.0-inch infotainment screen with navigation. 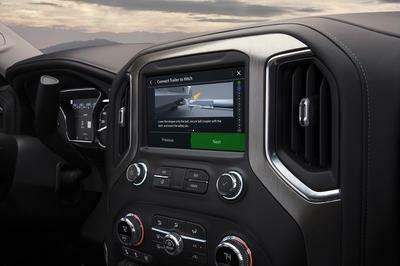 The Sierra now offers additional connected features, with smartphone-like operation for the UI. One of the most useful bits is a new rear-facing camera that provides a live feed in the rear-view mirror, which is useful to see around obstructions like cargo and passengers. Drivers can also adjust parameters like the tilt and zoom for an even clearer view. Further safety stuff includes pedestrian detection, surround vision, and side blind zone alert, plus a full trailer assist tech suite, which can monitor things like trailer tire temperature and tire pressure. 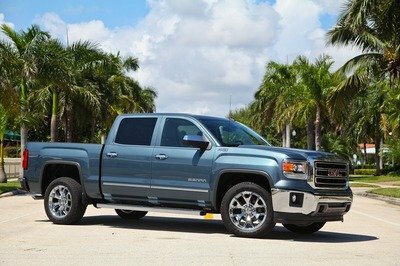 The new Sierra is now over 300 pounds lighter than the preceding model, thanks in part to an aluminum hood and gate. An adaptive ride height helps you grab the hitch, while the Denali gets a standard adaptive suspension set-up. There’s a larger, stronger cargo box too, measuring in at 7 inches wider than before. Options include an industry-first carbon fiber bed, which GMC is calling the CarbonPro. This composite cover saves around 62 pounds and offers “best-in-class dent, scratch and corrosion resistance.” Look for it on the options list later in the year. 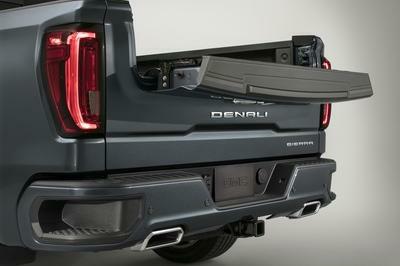 Getting stuff in and out of the bed is now easier thanks to the new configurable tailgate, which comes as standard equipment on the SLT and Denali. Dubbed the MultiPro tailgate, it offers multiple tiers and six unique positions (step-ups, standing workstation, and more) to ease loading and unloading, and can even hold up to 375 pounds. tech and individual cylinder management. There’s also a new 3.0-liter inline six-cylinder turbodiesel. Both the 3.0-liter and 6.2-liter are mated to a 10-speed automatic transmission. Sales will kick off this fall. 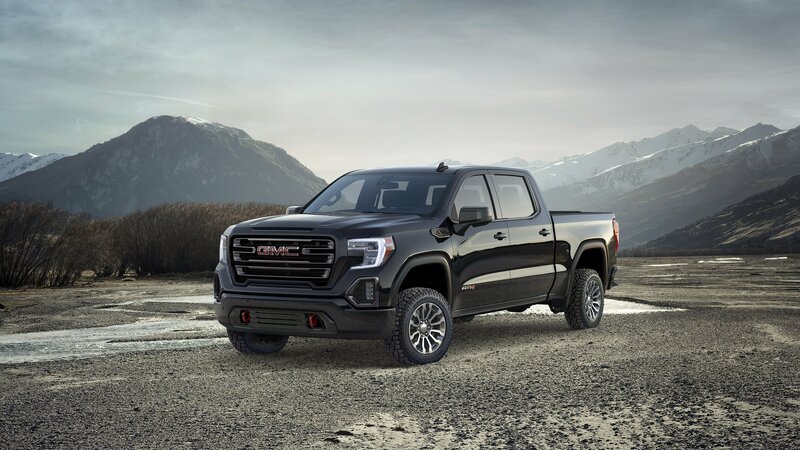 Look for more info when the 2019 GMC Sierra makes its auto show debut at the New York Auto Show on March 26th.